• Coded Harmonic Imaging enables high resolution even at deep penetration. • Real Time Speckle Reduction Imaging (SRI-HD) reduces noise while enhancing true tissue detail. • CrossXBeam™ enhances your ability to visualize tissue interfaces and differentiate borders. abdominal, obstetrics and gynecology, small parts, vascular, cardiac, pediatric and transcranial. 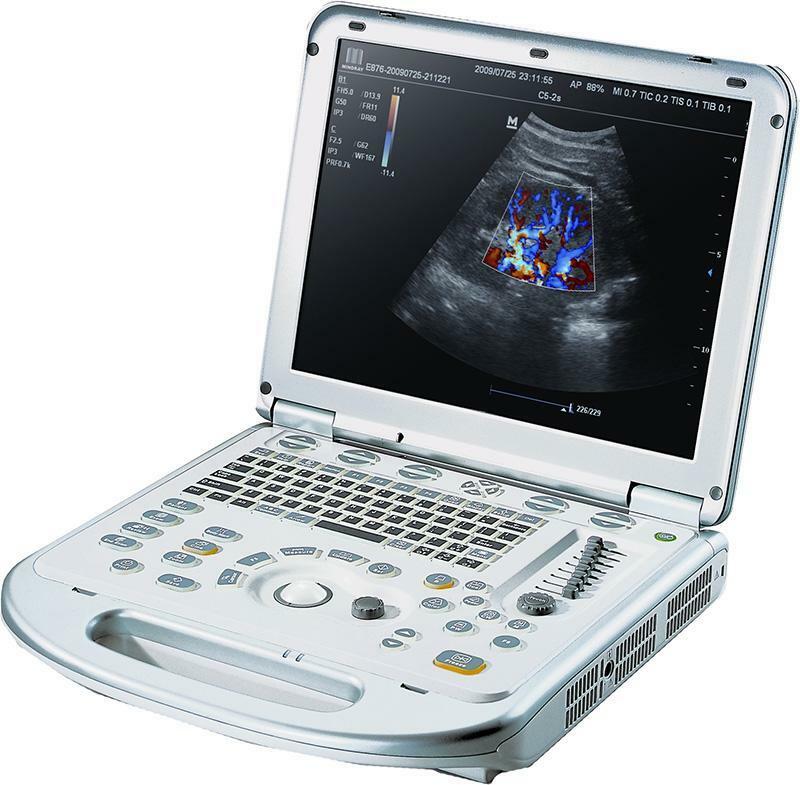 • SonoBiometry – Performs key fetal biometry measurements in seconds. • Auto IMT – Automates measurement of intima-media thickness for fast carotid exams. • Scan Assistant – Puts imaging protocols at your fingertips to reduce keystrokes by as much as 22 percent. • Auto Optimization - Optimizes B-Mode image to help improve contrast resolution. • Scan Coach – Innovative scan plane reference tool that displays reference images, animations, and schematics during live scanning. • Onboard help – Interactive access to information on settings, operation, connectivity, and maintenance, plus a link to the user manual for more details. Plus, you become a member of the LOGIQ Club, with online access to tools and resources to help you experience the full power of your LOGIQ ultrasound system. The cart tray offers easy storage up to a 1 Kg load. Cart attachment where 2 probe port adapter is docked onto system. This attachment features 2 probe holders with cord management hooks and 1 gel holder. The ergonomic trolley cart for LOGIQ V1/V2 features 4 easy on-off lockable 120mm (4.72 in) diameter wheels, system mounting, power cord hooks and clips for neat arrangement of power cords, probe holders with cord management holder, and gel holder. Trolley case for LOGIQ V1/V2 for easy transportation featuring soft-cover packaging and 2 wheel trolley design. The case features 3 protective compartments for the LOGIQ V1/V2 probes, and 2 probe port adapter, 3 additional compartments for power adapters, cord, and manuals.